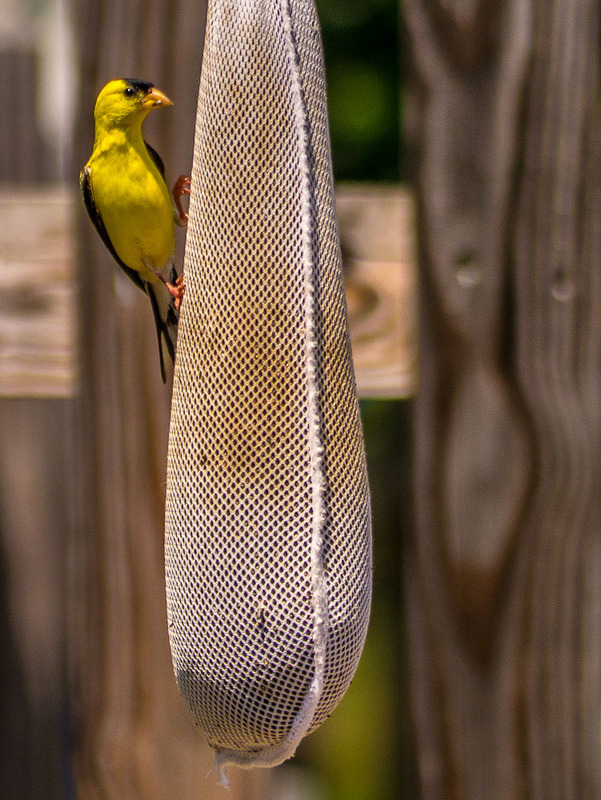 We have many, and I mean many, finches feeding at the hanging thistle bags in our back yard. Telephoto lens allowed me to get close up of one. Usually there are over ten at once, fighting for the best position on the four bags we have hanging.